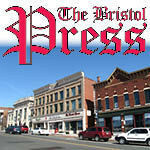 BRISTOL - Morin Corp. has been in Bristol for some 60 years, although it has been known by different names over that time. Morin Northeast, one of three locations nationally, is located at 685 Middle St. This Bristol location is the corporate headquarters and is also a manufacturing location for architectural high-end heavier-gauge metal roof and wall systems used in larger commercial architectural projects. The Morin philosophy overall is that it’s better to use more durable metals from the start, it is a more environmentally friendly product from the start. It will cost less for everyone long term. For more information, call 860-584-0900, or visit the fun national project galleries at www.MorinCorp.com . Posted in The Bristol Press, Central CT Chamber of Commerce, on Tuesday, 17 July 2018 20:20. Updated: Tuesday, 17 July 2018 20:22.